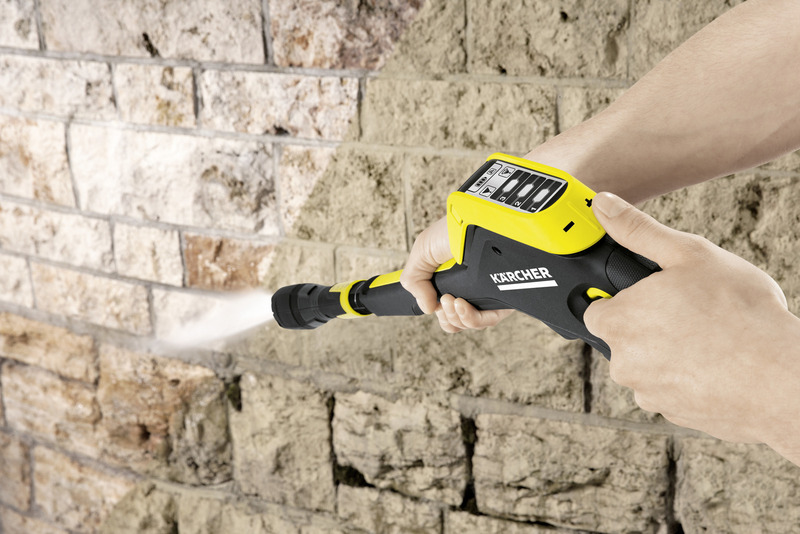 K 5 Premium Full Control Plus 13246320 https://www.kaercher.com/ae/home-garden/pressure-washers/k-5-premium-full-control-plus-13246320.html For regular use on moderate levels of dirt on cars, stone walls or bicycles. K 5 Premium Full Control Plus pressure washer including trigger gun with +/– buttons for pressure regulation and LCD display. For regular use on moderate levels of dirt on cars, stone walls or bicycles. K 5 Premium Full Control Plus pressure washer including trigger gun with +/– buttons for pressure regulation and LCD display. With the K 5 Premium Full Control Plus including hose reel, you will easily find the right pressure for every surface. The spray type is set simply by turning the 3-in-1 Multi Jet spray lance. The pressure setting can be checked on the trigger gun's LCD display and adjusted using the +/– buttons – for maximum control. This means that you do not have to change the spray lance – even when changing from high pressure to detergent mode. During brief interruptions in cleaning, you can simply park the trigger gun and spray lance. Thanks to the extendable telescopic handle, the device is easy to pull and can be compactly stored. And with the practical Plug 'n' Clean system, you can change detergents in one easy motion and check the filling level at a glance. 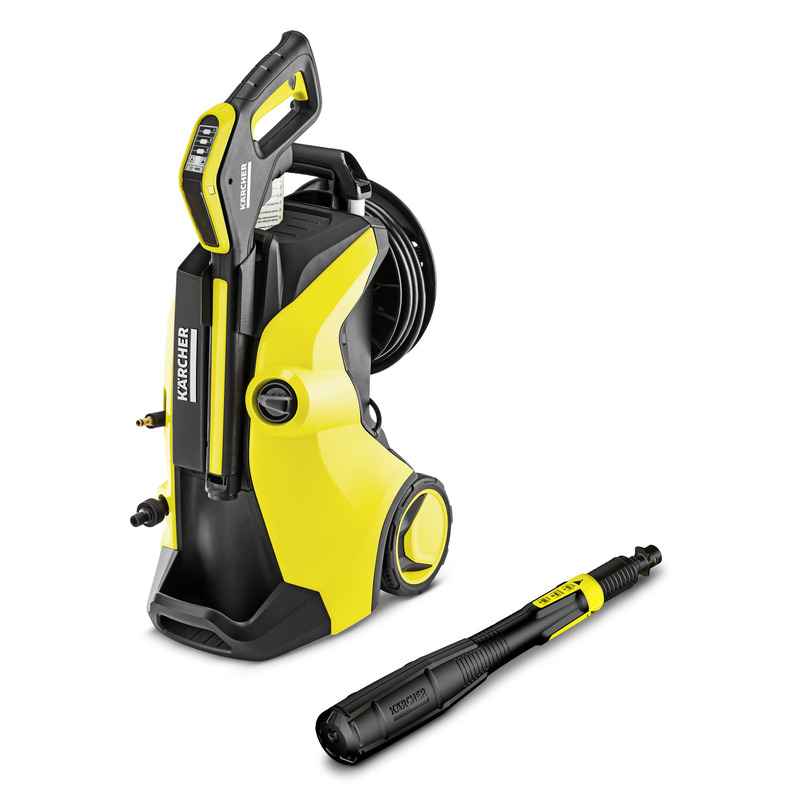 The pressure washer also offers a lower centre of gravity, practical hose guide and a base for extra stability, which can also be used asa second carrying handle. The pressure washer is ideal for regular use on stubborn dirt, with an area performance of 40 m²/h. After the work is done, the Full Control Plus Power trigger gun and the spray lance can be stored on the device to save space.